10. 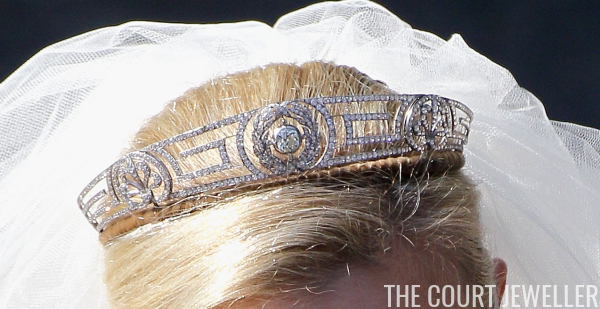 Princess Lalla Salma's Meander Tiara: This large, exaggerated meander tiara was worn at a very important royal wedding in Morocco -- the first ever public royal wedding. (Previously, royal wives had been kept out of the public eye.) The wearer was Princess Lalla Salma, wife of King Mohammed VI. 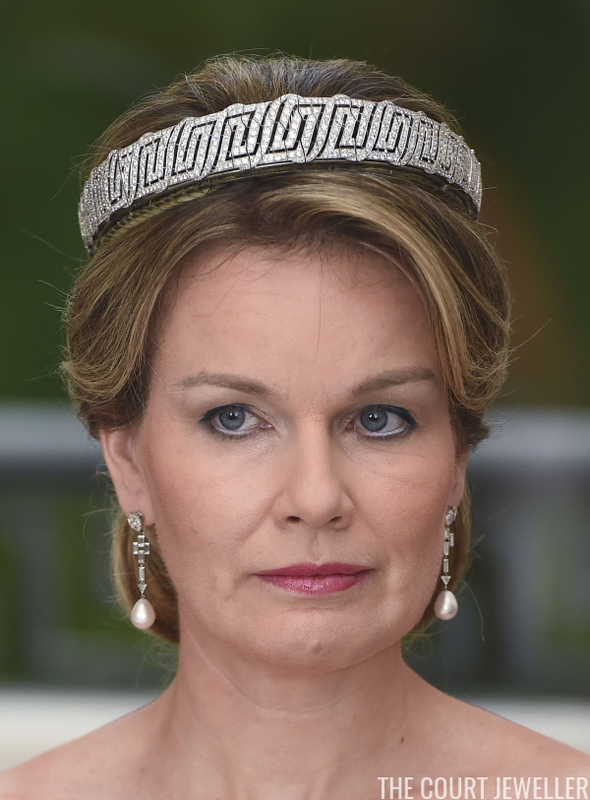 Not much is known about the provenance of the tiara itself, though I've seen speculation that it may have been made by a French jeweler. 8. Queen Victoria's Meander Fringe Tiara: Here's yet another tiara with a meander base -- Queen Victoria's small sunray fringe tiara. 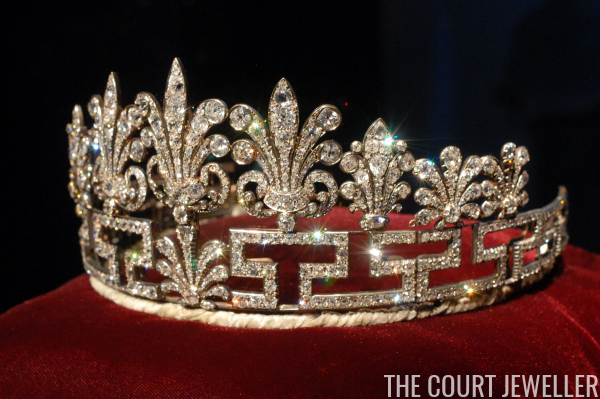 (The two sections were originally separate tiaras.) The piece was inherited by her youngest child, Princess Beatrice; unfortunately, its fate is unknown. 6. 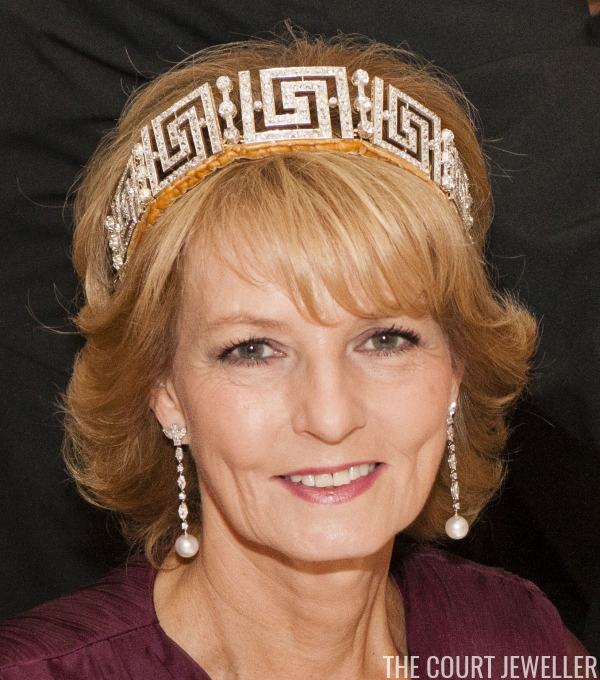 The Marichalar Meander Tiara: The Spanish royals also have another meander tiara -- the laurel/meander combo owned by Infanta Elena, who wore it on her wedding day. 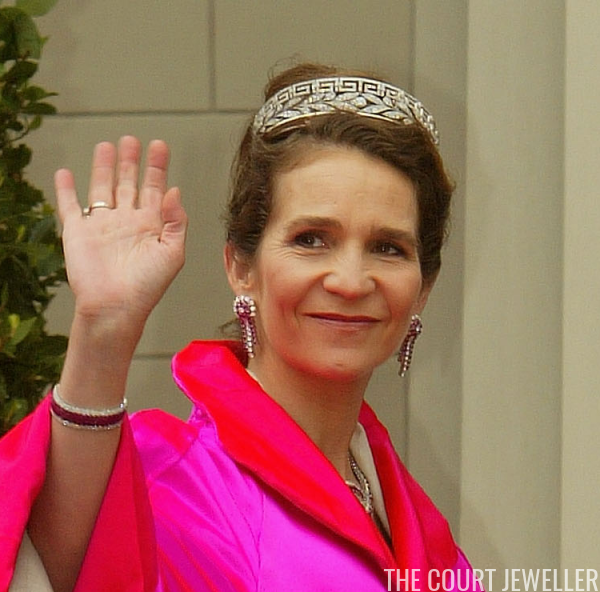 It was a gift from her mother-in-law, but she's kept (and worn) the tiara even after her divorce. 5. 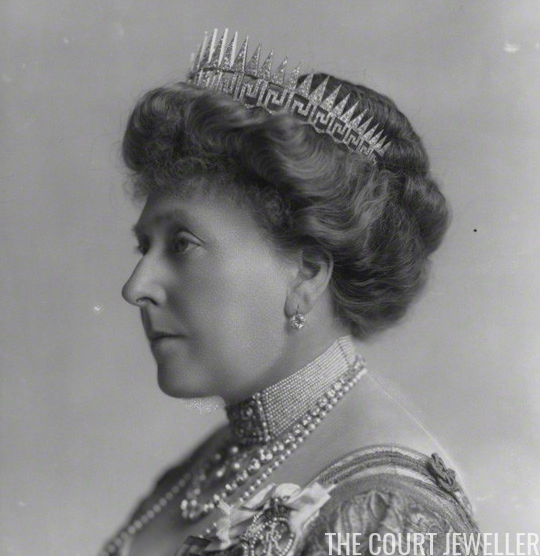 The Queen Mother's Double Meander Tiara: This tiara is still something of a mystery. It's a nineteenth-century double-row meander that at one point also included aigrette features. It was owned at one point by the Queen Mother; it's also thought to be currently in the possession of Princess Anne. 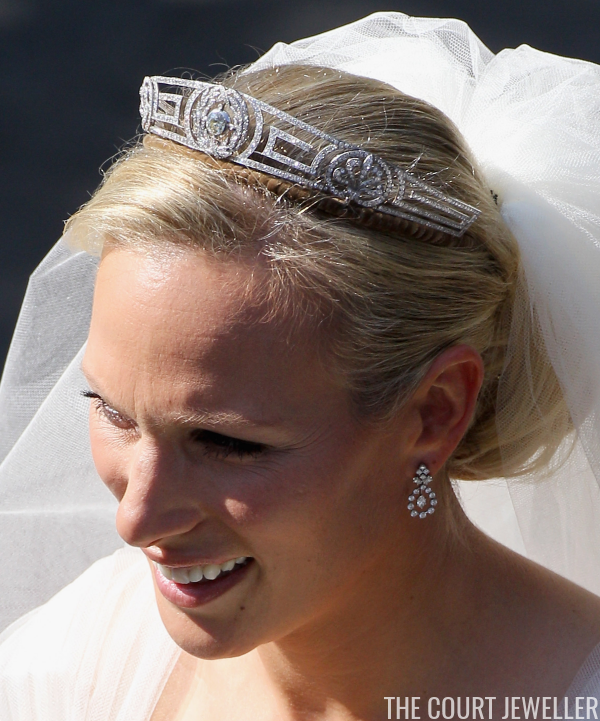 It's almost certainly the mystery tiara that Anne wore at a state banquet in 2005.